It’s been about a year since Atlassian acquired Trello and the company has stayed true to its word and continues to invest heavily in the product. Today, Trello is launching a new directory for its add-ons — or ‘Power-Ups‘ in Trello lingo — that shows both the continued investment in the service and that’s also indicative of how the Atlassian ecosystem in embracing the service. 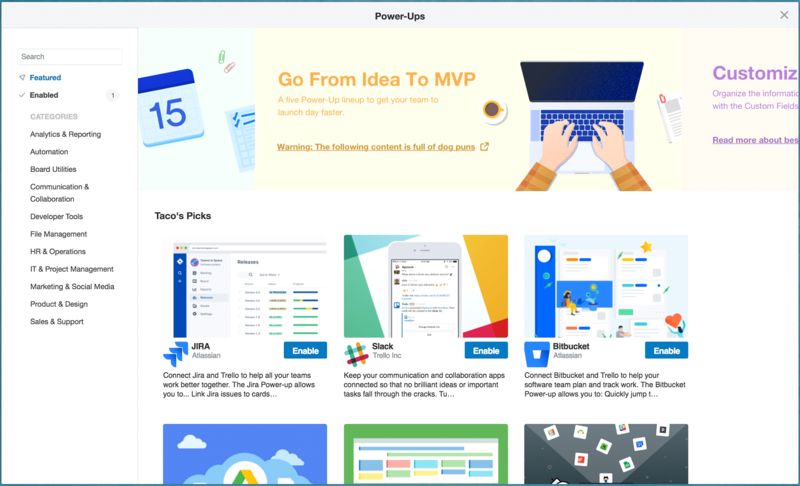 The Power-Ups platform first launched in 2016 and by the time Atlassian acquired the company last year, it featured just over thirty extensions. Since then, though, that number has grown to eighty. 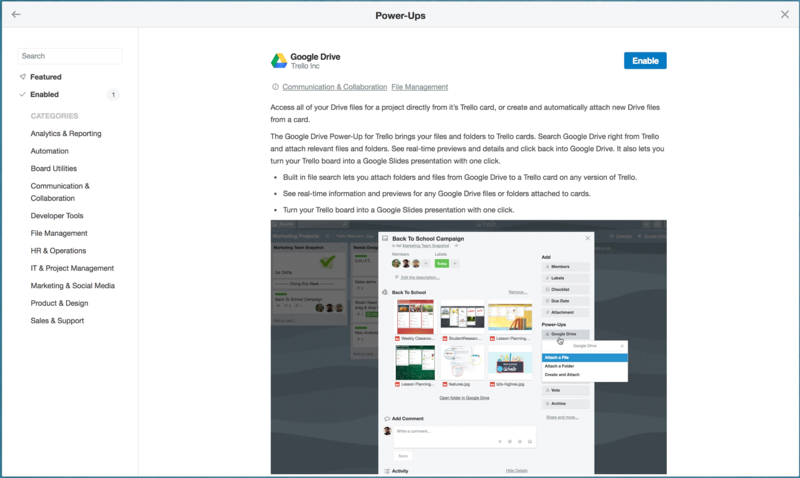 While a basic list of extensions worked just fine for a small number of them, it wasn’t an adequate solution for the current list of eighty Power-Ups, Atlassian’s head of platform for Trello Hamid Palo told me. So the team decided to rebuilt the directory to more closely resemble that of a modern app store and that organizes extensions by category. “The new directory focuses on storytelling and helping people to find what they are looking for,” Palo told me. But in addition to that, it also helps developers better tell the story of how Trello users can use their services, which now range from basic third-party integrations to tools for adding voting buttons to Trello cards and creating Gantt charts. Developers also have the ability to manage their listing and add and update their own imagery and videos as needed.